Fleetwood Mac fans rejoice! On October 25, Stevie Nicks’ hits the road on her 24 Karat Gold Tour with her opening act The Pretenders for 27 dates starting in Phoenix and ending in California. The album 24 Karat Gold was release in 2014 and became Stevie’s sixth Top Ten album on the Billboard charts. The tour’s set list will include a variety of album title tracks from Stevie Nicks’ solo albums, plus tracks off the 2014 album. Most of these songs were written decades ago but never released on early albums. She and producer Dave Stewart re-recorded all the old tunes in Nashville several years ago. 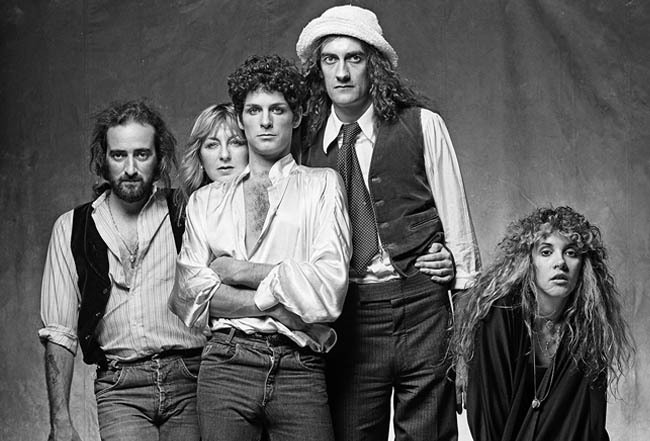 Nick’s didn’t tour with the album at the time because she was busy preparing for a Fleetwood Mac reunion tour from the original Rumors line-up, including Christine McVie, who left the band in 1998. The band entertained audience on three continents during a total of 120 shows. The MediaMine collection includes three Norman Seeff sessions with Stevie — in 1978 with Fleetwood Mac, in 1999 in a solo video session and in 2001 with Cheryl Crow.